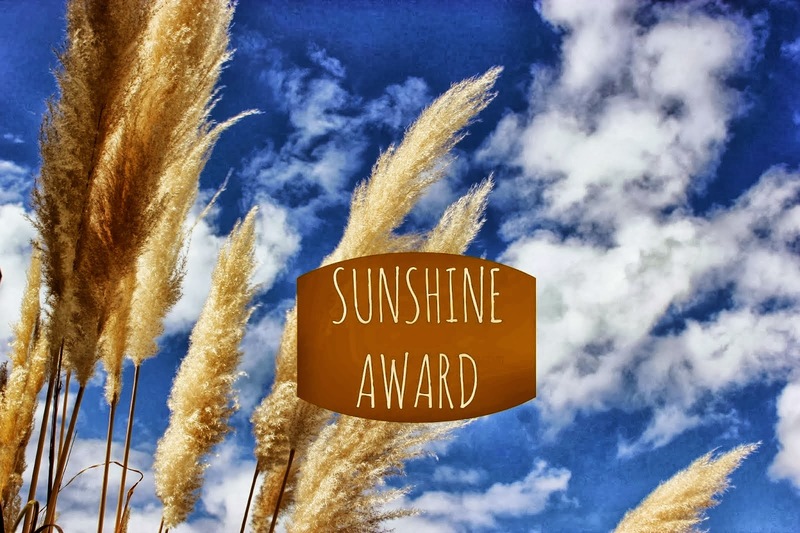 The Sunshine Award is awarded to "bloggers who positively and creatively inspire others in the blogsphere." This is the origin of the Sunshine Award that I found around the web. I was nominated by Bonnie Rose @ A Compass Rose, and she is an inspiration to me as well. But you obvously can't nominate the person who nominated you because they've already been nominated. I decided to participate because I thought that the interview questions were pretty interesting. Post 11 questions for the bloggers you nominate and let them know they have been nominated. 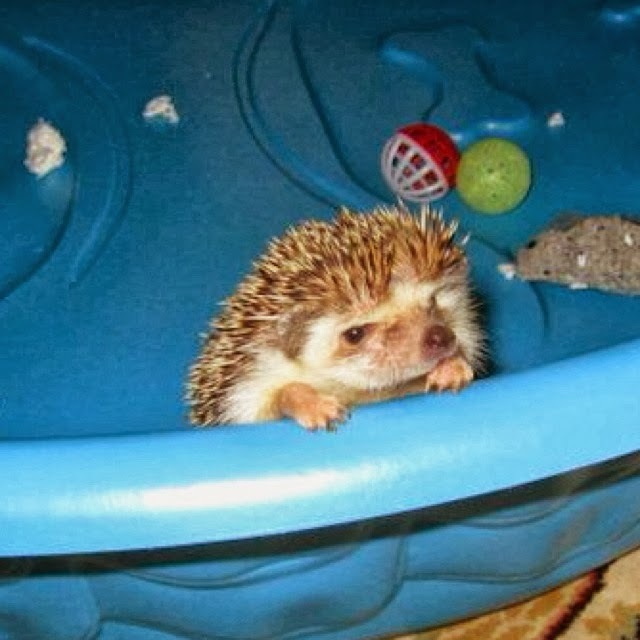 1) I used to have a real life pet hedgehog. I should probably write a post about my experience, but for now, here is a cute picture. Her name was Winifred. 2) I used to be big into concerts. I've seen so many bands live, like Incubus, RHCP, STP, Steve Miller Band, Fiona Apple, Joan Jett, Helmet, Bif Naked, and lots more. It's interesting that my focus isn't so much on music like it used to be. 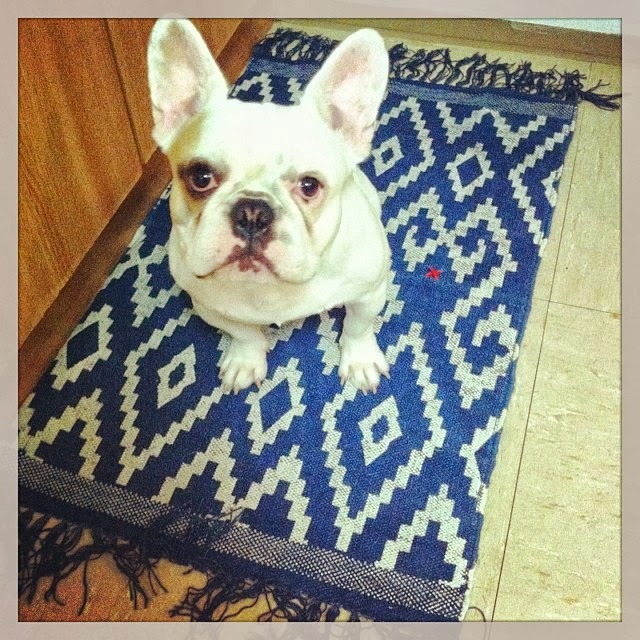 3) I have a French Bulldog, named Louis. I got him here in Germany. They are bigger than American French Bulldogs. Mine is 30 lbs. 4) I recently spent a week of solo travel in Naples and the surrounding area. 5) I am obsessed with traveling. 6) Someday I want to have a library filled with awesome books. For now, I have a bookshelf in the corner of my living room. 7) I'm actually not that crafty of a person. I have great ideas but get bored too often and give up. 8) For my wedding I had 5 bridesmaids who lived in different states and essentially never met before. It was interesting seeing them all in the same room interacting. 9) I got married in a Victorian Museum. 10) I've lived in probably over 20 houses in my lifetime. 11) I like to make lists and plan out future goals, no matter how crazy they sound. Something you are looking forward to in the next fortnight (two weeks)? In two weeks I should have a long weekend because of Veteran's Day. Maybe I should plan a last minute trip to Budapest. Hmm. Though I currently live in Germany, I am from Pennsylvania. 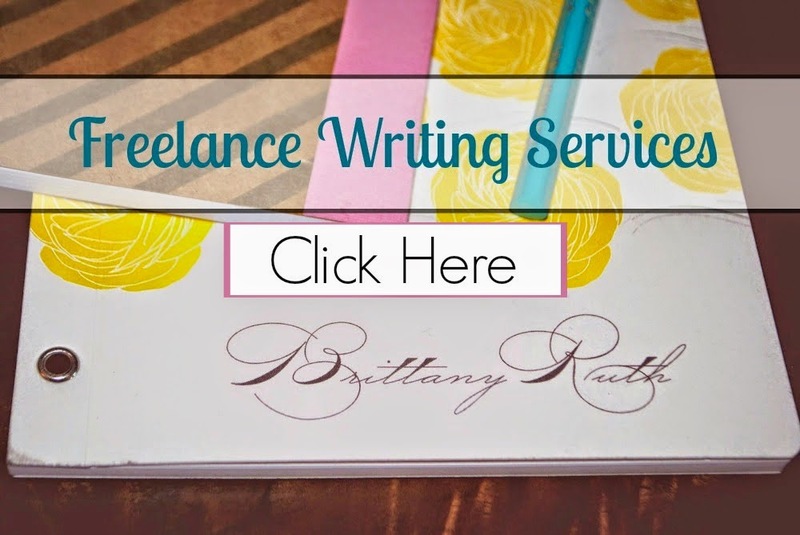 What is a short time goal you are currently working on? I just started with the B. Lux Photography Course offered by Bonnie Rose, so a month from now, I hope to have progressed within the course and really start to take some kickass pictures. What is a lifetime dream you would love to achieve? This is a tough one, I'd love to become a rock star, but I'm not so sure this is in the cards. Anyone wanna start a band? If you were to have a dinner party what celebrity would you invite? I guess I'd have to invite someone super hot like James Franco, so I could drool over him at dinner. Everyone who knows me knows, I love cheese. I've loved cheese forever and I know a lot about different all differenct kinds. My favorites are goat cheese, camembert, and feta, but really there isn't a cheese I won't try. Except for maybe the maggot cheese I've seen on Bizarre Foods. Dutch cheese is amazing, I went to the cheese museum in Amsterdam and usually pick up some cheese in other countries. Cheese goes great with wine so you can't lose. Also, this answer about cheese is embarassingly long. If you were to have a quiet night in what film could you watch over and over? I usually don't like to watch movies over and over. I'll instead talk about my favorite TV shows which are Workaholics, Portlandia, It's Always Sunny in Philadephia, Louis C. K., and Californication. Please leave a shout out if you like these shows too. Is there a book you have been wanting to read but have not yet? Actually, I've been trying to finish the last book in the triology by Stieg Larson, "The Girl Who Kicked the Hornets Nest," but when you're in school, reading for pleasure comes secondary. Your next dream vacation will be to where? My dream vacation will be Iceland though I don't have a diffinitive date for this yet. Probably next year sometime. But my other dream vacation is Spain. I plan to visit at least twice before I leave Europe and my first experience there will be in May when I take my last grad course. Can't wait! If you wrote a book (fiction or non fiction) what would it be about? Funny you ask. During my undergrad, I was writing a fiction book about psychopharmacology but my computer crashed and so did my interests in starting over. 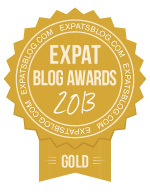 If I could start over at this point in my life, the book would definitely be about being an expat. Isn't that kind of what blogging is? My fat little snuggle monster, Louis. 1) What is the first concert you ever attended? 2) Do you have a pet? What is it? 3) Name a mini goal of yours and a long term goal that you have or will be working on. 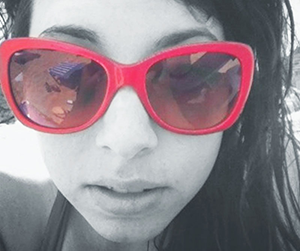 4) Coolest place you've ever traveled to? 5) If you had no limits, what would be your dream job? 6) What are the top three qualities you look for in a friend? 7) What are you obsessed with right now? 8) If you could learn to play a new instrument, speak a new language, or instantly fix one of your flaws, what would you choose? 9) What is something you regret that you wish you could change, or do you live your life with no regrets? 10) What is a new hobby you've been wanting to try out? 11) What is something readers don't know about you? I wanted to let everyone know in advance that there there will be a pretty awesome GIVEAWAY coming up on my blog, so keep your eyes peeled (I hate that expression) for that. A hedgehog? You definitely need to write a post about that. :-) I also have both Spain and Iceland high up on my wish list. I used to also go to a ton of concerts. Music is a huge piece of my life even though I don't have the chance to go much anymore. Yea, there are a lot of cool bands that I see playing in Munich or Berlin, but I go to book tickets and they are always sold out! This is super-cool, so much I never knew. A hedgehog?? YES, that deserves a post of its own!!! Hmm, I may just have to do a post. oooh I need that cute little hedgie!! Aww, you had a hedgehog! How sweet!!! She is was evil, eh? Ha! Where will you go in Spain? We lived outside of Madrid for just over a year and loved it. We miss it so much! Yes, I had a hedgehog. She wasn't exactly evil, but they don't make good pets in my opinion. They need a lot of patience. I want to go to several places in Spain, but my class in May happens to be in Rota. So I'll probably visit Gibralter as well! how lucky, you got to live in Madrid. I'd love to move there! Oh my goodness, thank you SO much for the award! I was happy to have a chance to get to know you better through your answers. You want to hear something strange? My son is in college and he and his suitemates have a pet hedgehog named Winnie!! Wow, how crazy is that? What are the chances. I thought Winifred (Winnie for short) was an odd name for a hedgehog. So funny. Thank you so much for the nomination! I've been traveling in China and Tibet for the last week, and your blog was blocked for me there (along with all other Blogger platform blogs, Facebook and YouTube). I've just now had a chance to open up your post and read it. I've seen Joan Jett in concert, although I bet you were a baby or even not even a born at the time (1984).